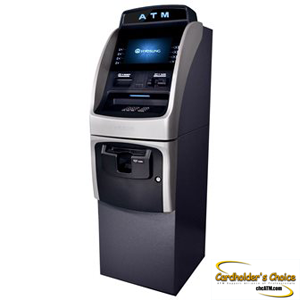 "High volume network of ATM locations and industry partners"
Cardholder’s Choice is a family owned ATM provider with the volume and pricing advantages of any of the big impersonal ATM companies. Cardholder's Choice is a family owned ISO: Independent Service Organization. Industry lingo for ATM supplier. Our focus on ATM sales and placements to grow our CHC branded fleet of ATMs is mainly in Ontario. We have a network of independent ATM deployers in our ATM Support Alliance of Professionals | ASAP operates somewhat like a co-operative or buying group. Independent ATM ISOs join us in ASAP to aggregate their translation and purchasing volumes. We provide parts, back office support, higher interchange and lower prices. Members support each other cooperatively making our service network second to none. We can hook up your legacy ATMs with our wireless cellar modems. We want to maximize your benefits and profits with no risk programs to get you ownership of an ATM. Celebrating out 20th Anniversary with creative offers for Ontario businesses. ATM option for business owners and investors with busy locations. Already have an ATM? You may benefit from our service and possibly upgrade your ATM. Start accepting more credit cards and international cards with our full network accreditation. We can take over your transaction processing and service provided you notify and cancel any existing contracts. *no intended to solicit existing contracts. Lease of finance with us to get the benefits and spread the costs out on tax deductible payment plans. We aggregate transactions volumes of our fleet and that of our industry partners in ASAP. We deliver widest range of card acceptance as we pay for all annual fees and maintain network accreditation for all credit card and international networks. Don't want to invest in an ATM but want its benefits? We can customize an ATM solution where we place the ATM in your business for FREE. You would be making money from the first day without any investment. We created ASAP: the ATM Support Alliance of Professionals. A network of ATM professionals across Canada, We aggregate transactions volumes and provide service and support to ATM providers. We have built a network of Family operated ATM guys across Ontario and nationwide. We pool parts and technical support so our Family ATM Business stands second to none. See about joining us!